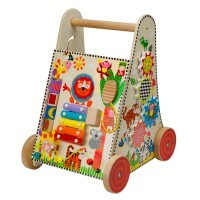 Perfect babies to push and roll, the rattling inflatable roller brings smiling jungle animals and rattling balls inside. 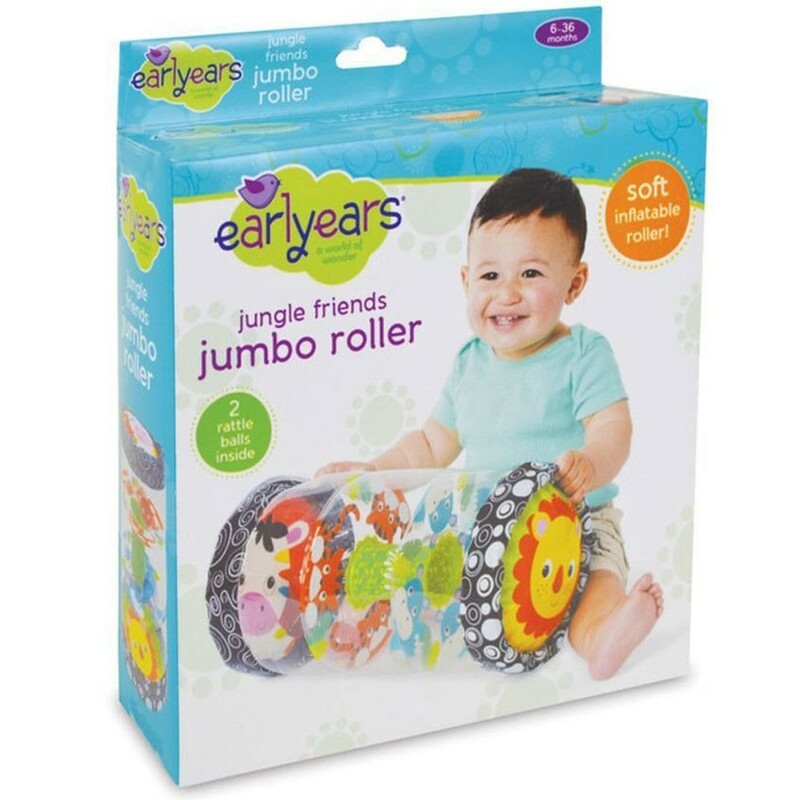 The bigger, the brighter, and even wilder edition of the Earlyears baby roller is here! The Jungle Friends Jumbo Inflatable Baby Roller is a redesigned edition of the very popular baby rolling activity toy. 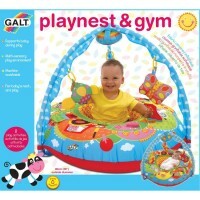 This inflatable activity toy for babies features a colorful design with friendly jungle animals: lion, tiger, zebra, hippo and more. 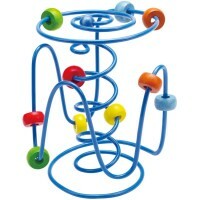 The roller from Educational Toys Planet has inside a pass through tube for 2 rattling balls. 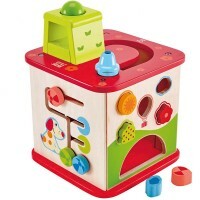 The sound making balls drop from one level to the next one making noise and more fun for the little one to push the toy around. 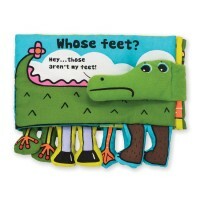 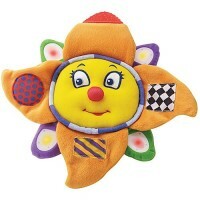 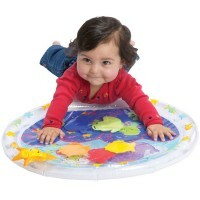 This baby activity toy is great for babies to promote pushing, rolling, and crawling activities. 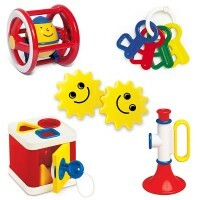 The inflatable baby roller toy is made from quality phthalate-free vinyl. 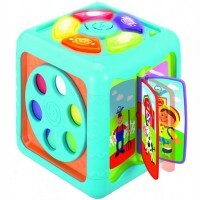 Dimensions of package 9.25" x 2.25" x 8"
Write your own review of Jungle Friends Jumbo Inflatable Baby Roller.